My wee one likes the part where you are encouraged to “cluck, cluck” which always makes me think of some cluck, cluck for dinner. I know. A little twisted but we’ve read this story a billion times and the mind starts to wander after a bit. I’m pressed for time this week and I have a yen for something faintly asian. I used to have a serious addiction to five spice powder but I think that I’ve gotten it enough under control that I can risk having a bit. Enter Five Spice Chicken and noodles. 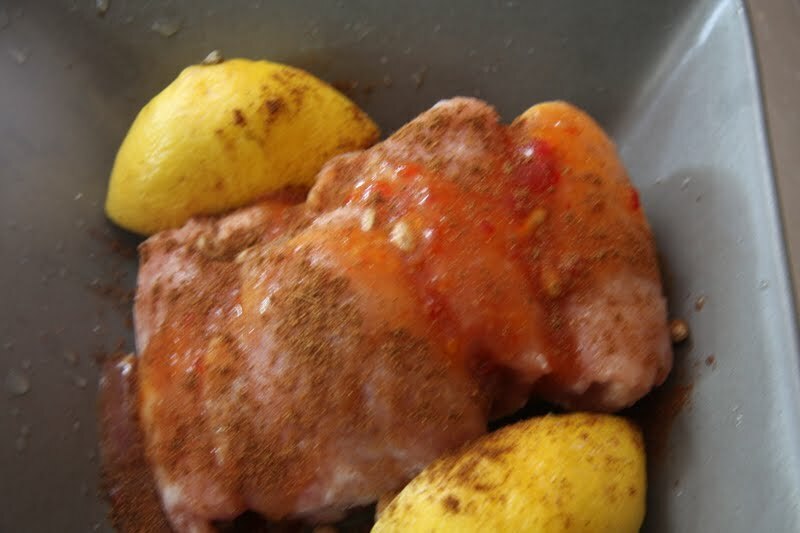 In the morning place your chicken (frozen or not-I’ve got five frozen, boneless thighs here) with 1 tsp of five spice (sort of a cross between smoky and cinnamon flavours), 1/4 cup of sweet chile sauce, juice of one lemon and 1/2 tsp. of sea salt. When you’re ready for dinner get water boiling and salt it well. Grill your chicken. Cook udon noodles (or any noodles you really love) and for the final 2 minutes blanch a head of brocolli (why dirty another pot?). 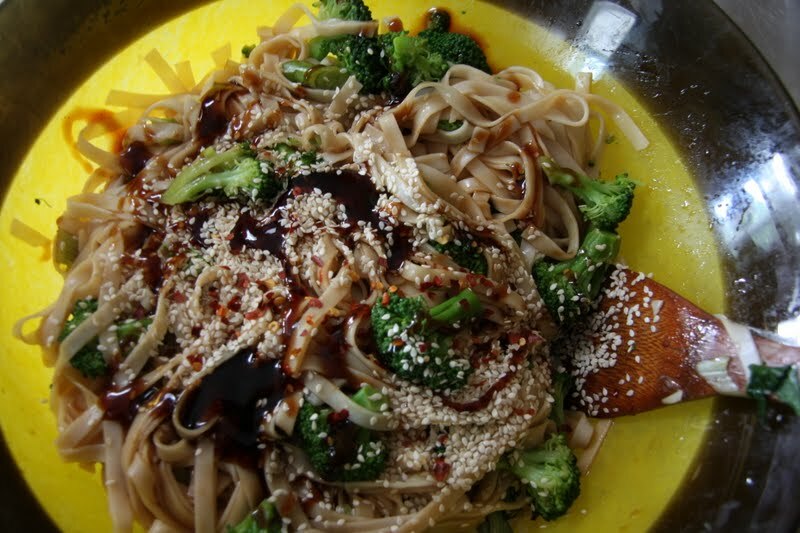 Cool and dress with hoisen sauce, a chopped green onion (Don’t have any? How about a chopped pepper instead?) and 2T. sesame seeds. 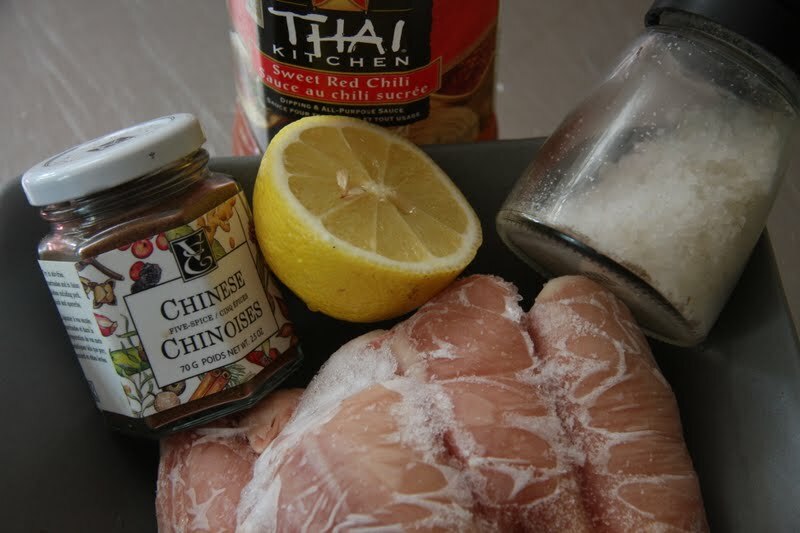 Top with your grilled chicken. This makes a fantastic leftover for lunch the next day too. This sounds so simple and tasty too. Oddly, I've never cooked with five spice powder (I know! Weird, right?). But now I know where to start. 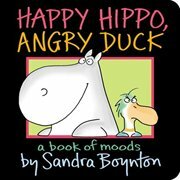 Love that book. 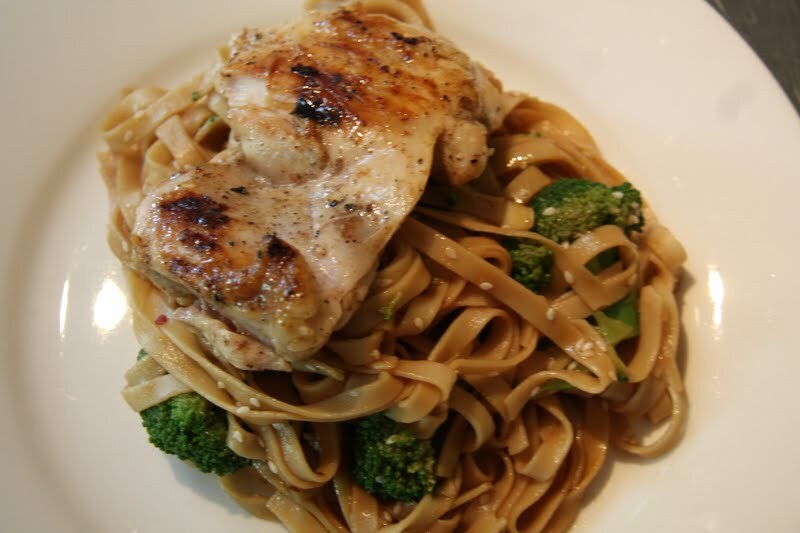 I used to read it to my boys :)That chicken and noodles looks so yummy….it has all of my favorite ingredients in it. oooohh!!! YUM!! Asian recipes are sooooo good! This recipe looks amazing and simple enough for me to try!